KUALA LUMPUR, 1 October 2018: Hobby Association of Malaysia (HAOM) and Paydibs Sdn Bhd (Paydibs) agreed to build cooperation by signing a memorandum of understanding (MoU) on enabling Malaysia’s largest hobby expo, Malaysia Hobby Expo (MHX) 2018 to go cashless. The MoU signing took place at Paydibs Office at Maju Link, Kuala Lumpur last Thursday. This MoU was signed by Muhammed Fidzri Syafeeq, Chief Secretariat of Hobby Association of Malaysia and Paydibs CEO Terry Yee. The MoU aims at promoting cashless in MHX 2018, which will be held on 6th and 7th of October 2018, from 10am to 10pm at Malaysia Agro Exposition Park Serdang (MAEPS), MARDI, Serdang. The MoU coverage is focused on enabling the expo exhibitors to accept QR code payments using mobile payment solution facilitated by Paydibs. Through this partnership with HAOM and Paydibs, visitors are able to use licensed e-money such as TNG eWallet and MCash to pay the exhibitors for their purchases or activities during the expo. “Combining our established network of local hobbies enthusiasts with Paydibs, we will be able to create new value to our association members by introducing digital payments and educate them in going cashless”, said Chief Secretariat of Hobby Association of Malaysia Fidzri Shafeeq. “Hobby Association of Malaysia has always committed and maintained a consistent effort to promote the hobby industries with our activities and events,” Fidzri added. 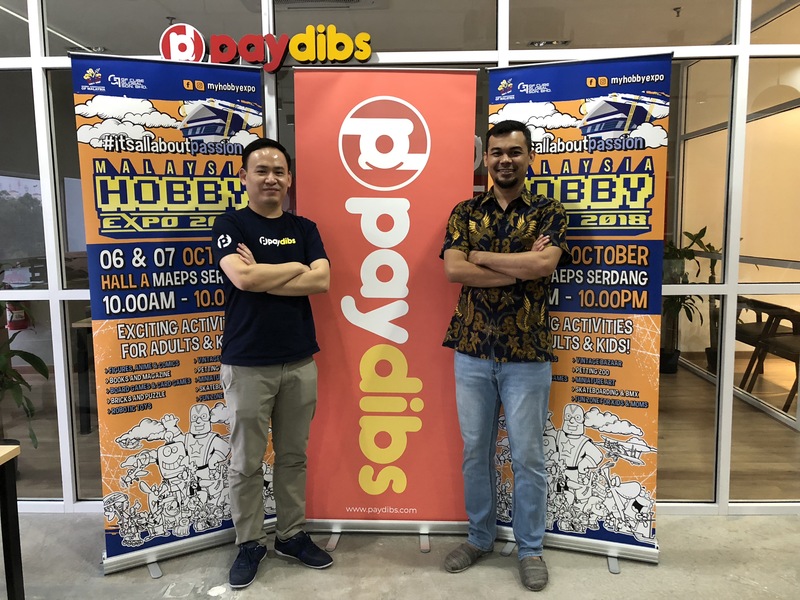 “These collaborative efforts are expected to reap results that will increase the adoption rate of e-money among hobby society,” said Paydibs CEO Terry Yee. “Digital payments allow for a more secure shopping experience without having to worry about not having enough money at hand. Going cashless is definitely is the way to go as digital payments are revolutionising the world of retail,” Terry added. [From Left] Terry Yee, CEO of Paydibs Sdn Bhd and Muhammed Fidzri Syafeeq, Chief Secretariat of Hobby Association of Malaysia.